I love a photography challenge and underwater photography has a way multiplying complexities. But like most challenges, it is the preparations that you make before diving in that will help your photography sink or swim (I’m sorry – I couldn’t resist). In this article, I will take you through a recent underwater photography session I did with three triathletes currently training for the Ironman Triathlon. While on a holiday in Portugal to accept a Best Timelapse award for his incomparably brilliant Moscow Night Timelapse/Hyperlapse, Kirill Neiezhmakov, like any good photographer, seized the opportunity to create his next treasure, Portugal Hyperlapse/Timelapse. Neiezhmakov is making a name for himself among timelapse and hyperlapse photography enthusiasts as one of the art forms leading filmmakers, and rightfully so. He has the uncanny ability to create his new magnum opus with every timelapse he puts out. This Lisbon and Sesimbra, Portugal are no exception. Do you remember Jaws? One of the reasons Spielberg’s film was as terrifying as it was is because of how little we see of the beast itself; the suspense was carried by the silence before the attack. 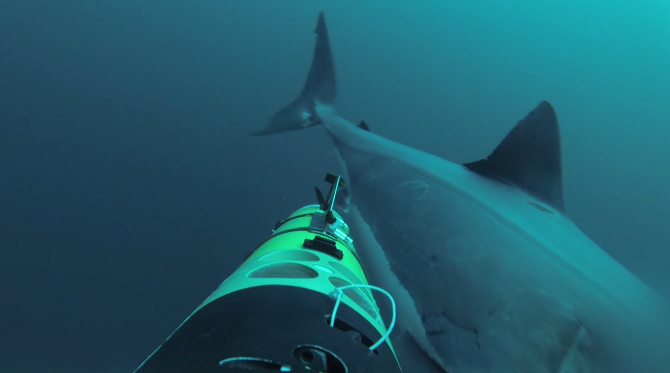 When you watch this video, check out how the sharks approach the vessel and keep that in mind. They stay below, utilizing the deepness of the water to sneak up on it. They stay hidden; they don’t let you see them until they’ve already sunk their teeth in. And you’re able to watch it unfold face-to-face because of how far photography’s come today. About a month back, we featured an immersive and exhilarating underwater project done by photographer Von Wong. For those that never looked into it, Von Wong was the man behind a photoshoot done completely underwater – and it wasn’t anything I’d ever seen before. Before his work caught my eye, no photographic work done near at a shipwreck was quite as captivating at all. And if you haven’t seen it by now, you’re about to. Back when we first posted about it, we featured a video that Von Wong uploaded to accompany his work, detailing the introductory basics of what it took to execute a project like that. It’s a privilege for me to introduce his next part in the making of this project: the second part to his video series, giving you an in-depth look behind the scenes at exactly how this photoshoot was executed. With the increasing popularity and availability of waterproof point and shoot cameras, waterproof action cameras (like GoPro) and even waterproof camera phones (like the Sony Xperia), we’re seeing more and more underwater photography. Concurrently, the style of underwater photography that we’re seeing is evolving from the more traditional scuba diving sea-life photos, to more everyday fun-in-the-water lifestyle shots. But, taking really good underwater photos is a little trickier than it may seem – so I thought I’d share some of my top underwater photography tips. It is reported that Navy SEALS commonly use two condoms to seal firing assemblies for their underwater explosives, having thus coined the term: “Dual Waterproof Firing Assemblies”. This article is a tribute to their ingenuity, and it expands on the concept of the waterproof condom, in order to make a waterproof housing for my digital camera (and other consumer electronics).